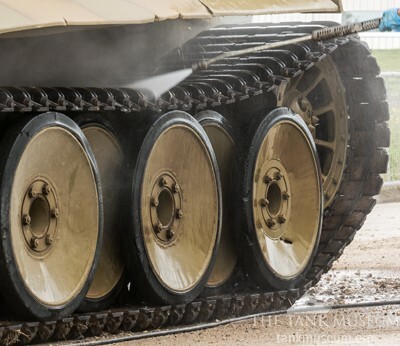 This design choice offered a good compromise between reducing the tank’s ground pressure by spreading its 57 tonne weight over as many wheels as possible, keeping the vehicle compact enough to be maneuverable, and giving a smooth ride over rough ground. 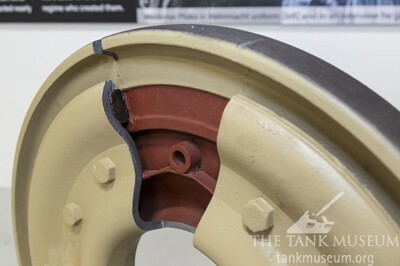 The original road wheels fitted to the Tiger I were 800mm in diameter, made from steel with solid rubber tyres. There were 24 per side, with three fitted on each suspension arm. Cleaning the original rubber tyred road wheels on Tiger 131. However these weren’t the wheels intended for the Tiger. 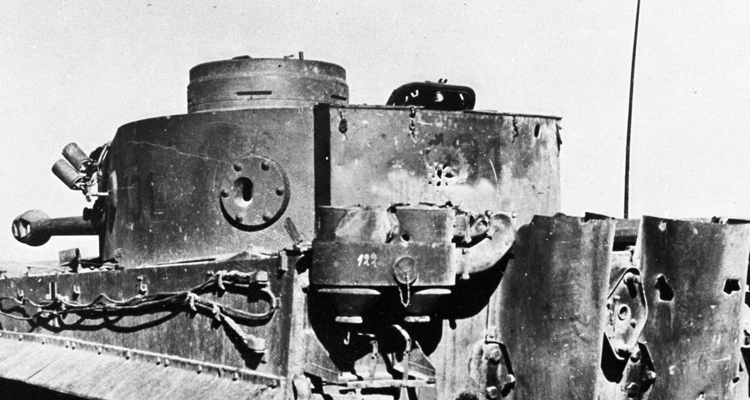 They’d been used on the lighter VK36.01 prototype and were fitted to the early Tigers for trials. 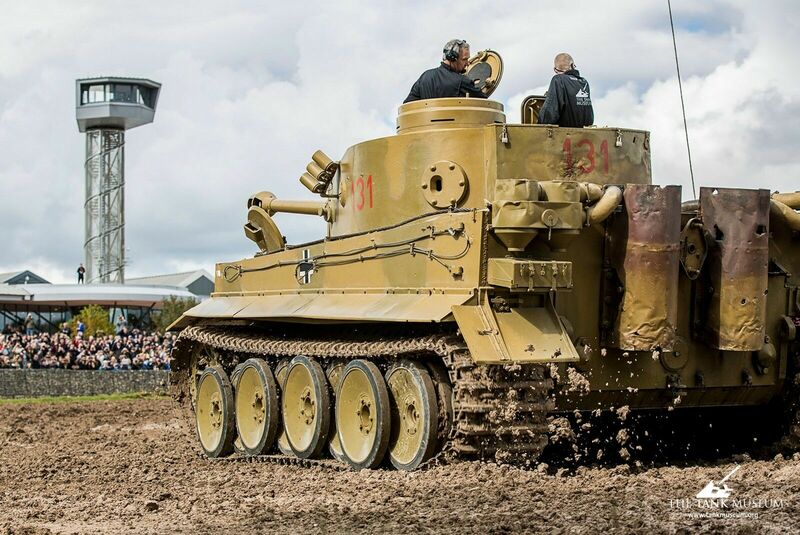 The Tiger was far heavier, and it was anticipated that the wheels would struggle with the extra weight, so a new, more resilient design was to be developed by the Famo-Breslau firm. Delays with this new wheel and the need to get the Tiger into production as soon as possible meant that the rubber tyred wheels had to be retained. Fears over their reliability proved well-founded and many wheels failed under the load. The tyres were a particular weak point. The rubber wore quickly and was prone to shredding or flying off the wheel entirely, especially at higher speeds. Not only was the rubber not durable enough, the wheels used too much of it. As the war progressed rubber was in increasingly short supply in Germany, and there were higher priorities for what there was. For both these reasons, an alternative was needed. 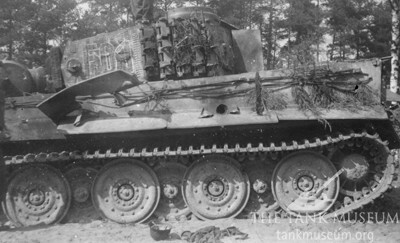 This Tiger I, built before July 1943, has been refitted with the steel tyred wheels. 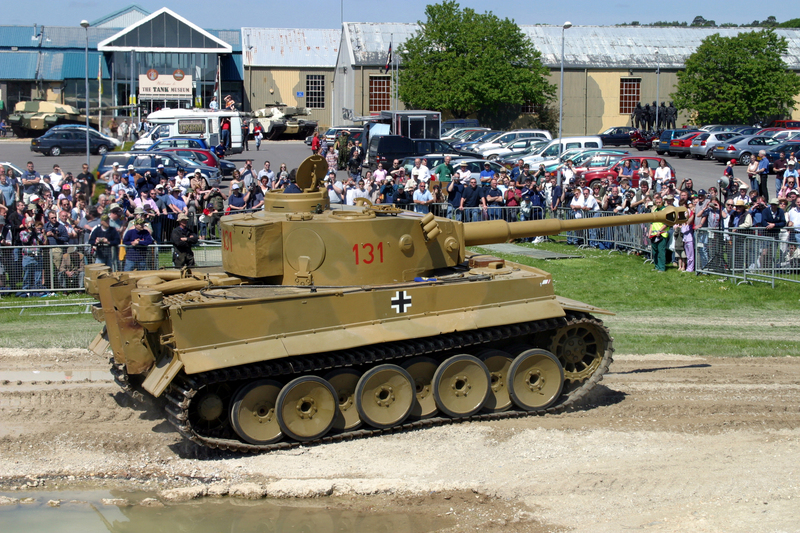 Newer Tiger wheels were developed in 1943 and introduced from February 1944. The same diameter, they had steel tires clamped between two steel hubs. Two rings of rubber, one on each side between the hub and the tyre served to provide cushioning. These were much more durable and could support a greater weight, to the point that the outermost row were no longer needed. Tiger Is fitted with these wheels only had 16 per side, two per suspension arm. Another advantage of the new wheels was that it was now no longer necessary to remove any when fitting the narrower transport tracks. The rubber cushioning inside the steel tyred wheel. 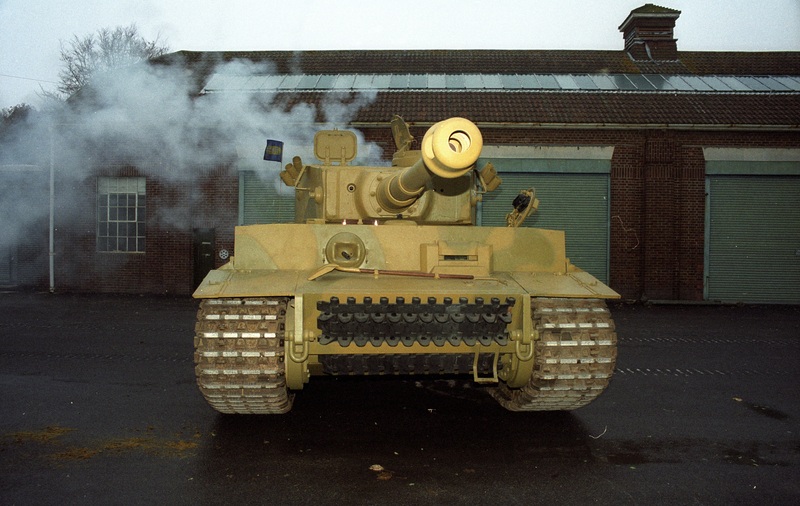 The first Tiger to be fitted with these wheels at the factory had Fahrgestell Number 250822 (the 822nd of the 1347 Tiger Is). The two wheel types weren’t interchangeable, and units were forbidden from mixing them unless it was an emergency. However they could and did replace entire sets of rubber tired wheels with steel tyred ones if they were available. 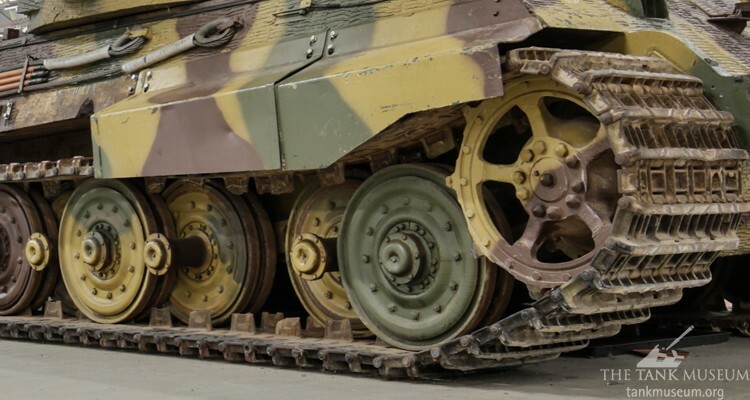 Availability wasn’t guaranteed, and there was no coordinated programme to replace the wheels on earlier Tigers, so the rubber tyred wheels were seen until the end of the war. Sturmtigers were built on refurbished Tiger I tank hulls in late 1944, so they all received the new wheels, even if the original tank hadn’t. 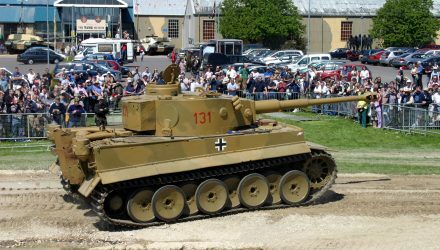 The Tiger II only ever used the steel tired wheels, as did those Jagdtigers fitted with the Henschel suspension. Larger and heavier vehicles, they had 18 per side, 5 outer pairs and 4 inner pairs. These wheels were one of the few interchangeable parts between the two models of Tiger. Find out how Tiger wheels are set up and restored here. Thank you for such an informative article. Interesting that FAMO were involved, I had assumed that all work would have been completed in-house by Henschel. i had a tiger tank model as a kid. Does anyone know the (cone angle) of the outer road wheels, mayby 10 degrees, measured from the axis?